A new revision of the DivMMC EnJOY! is coming up! This new version has two SD card slots (second is just below the primary one). The new DivMMC EnJOY! will also have the newly developed dual-standard joystick interface, which will support both Kempston Joystick and Sinclair Joystick (selectable with a DIP switch). When you add an extra separate joystick interface (also available from ByteDelight), you can now play multiplayer games with two joysticks! 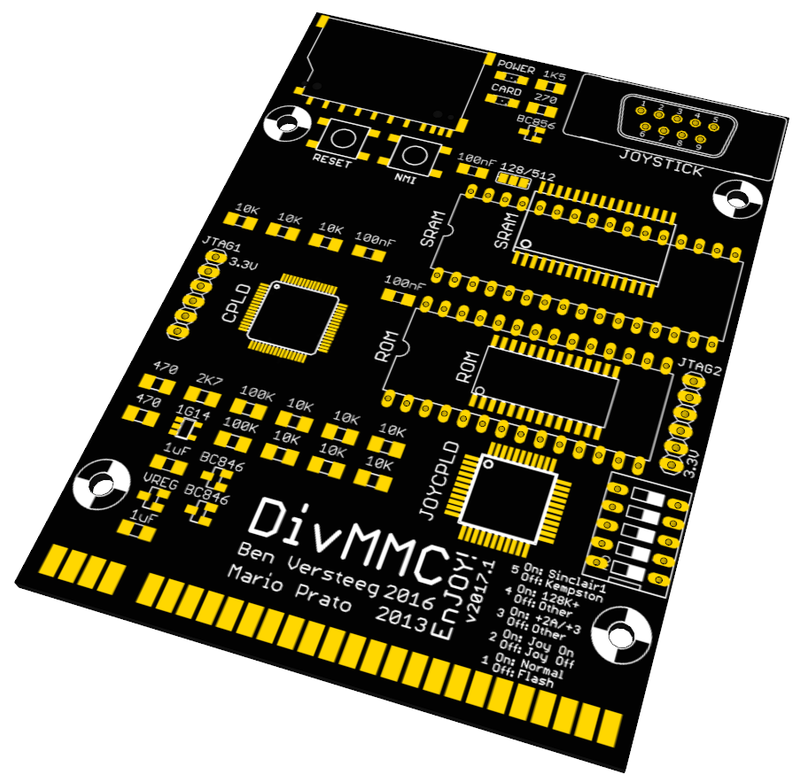 The new revision of the DivMMC EnJOY! has mainly SMD parts, so I will soon outsource production to keep up with the demand!